Kilchberg, December 13, 2017 – Lindt & Sprüngli is very pleased to announce the extension of its partnership with Roger Federer, the 19–time Grand Slam Champion and most successful tennis player of all times. Roger Federer is respected and admired around the world for his outstanding sporting achievements and his likeable demeanour. He perfectly embodies Swissness, premium quality, passion and skill – values that Lindt & Sprüngli stands for as a traditional Swiss company. 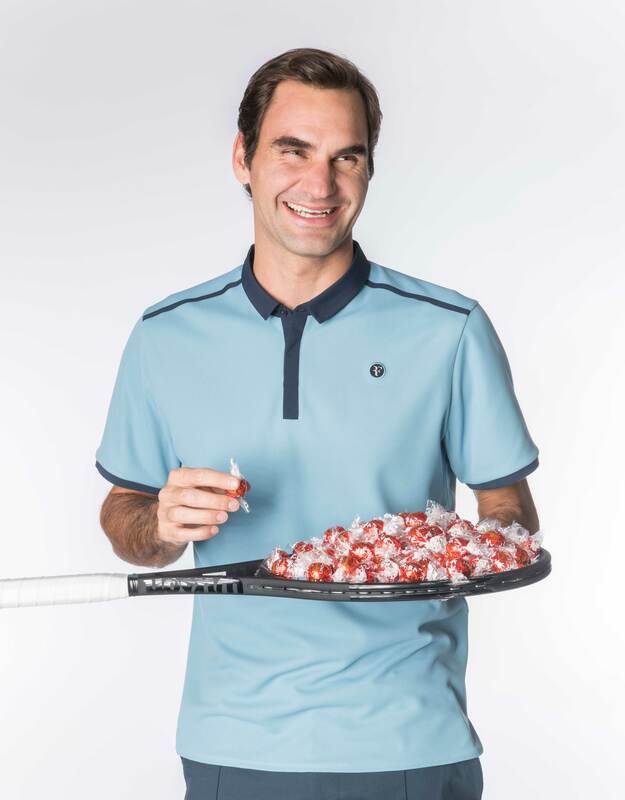 The global popularity of the ambitious elite athlete Roger Federer has made him the perfect brand ambassador for Lindt since 2009. The extension of the successful partnership, shaped by numerous emotional and enjoyable moments, joint events and charity activities, helps Lindt to strategically further enhance its brand awareness around the world and gain a foothold in important markets of the future. The partnership with Roger Federer is a complementing feature of Lindt's successful global brand strategy with the Maître Chocolatiers. The exact details of the global contract have not been disclosed. “We are very proud to once again extend the successful partnership with our brand ambassador Roger Federer. In this very extraordinary year for him, he has shown his ability to write sport history with unwavering maximum effort and a great degree of passion. 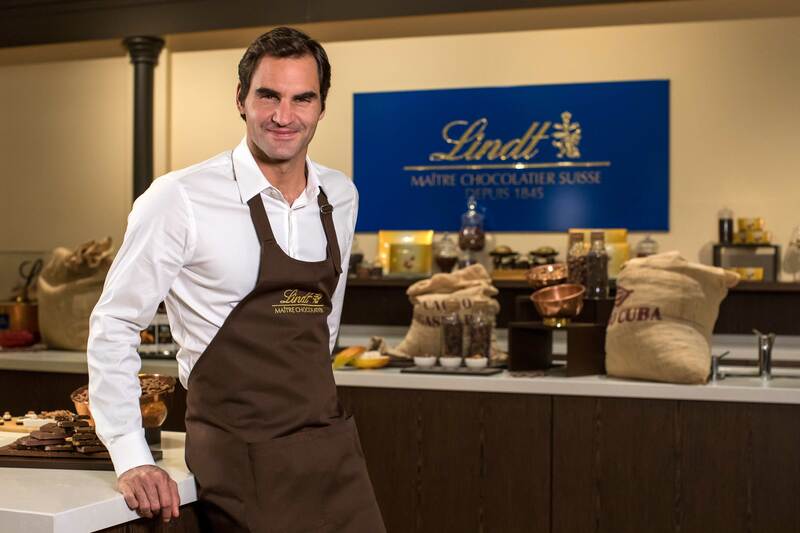 Lindt and Roger Federer both stand for the highest Swiss quality”, says Ernst Tanner, Executive Chairman of the Board of Directors of Lindt & Sprüngli. “I grew up with Lindt products so, as a Swiss and an enthusiastic fan of chocolate, I associate the close partnership with Lindt with wonderful childhood memories. As I travel around the world, people are always asking me about Lindt and I am very proud to be part of the Lindt family”, says Roger Federer. As global leader in the premium chocolate sector, Lindt & Sprüngli looks back on a long standing tradition of 170 years which takes its origins in Zurich, Switzerland. Today, quality chocolate products by Lindt & Sprüngli are made at 12 own production sites in Europe and the USA. They are distributed by 24 subsidiary companies and branch offices, in more than 370 own stores, and also via a comprehensive network of more than 100 independent distributors around the globe. With over 13,000 employees, the Lindt & Sprüngli Group reported sales worth CHF 3.9 billion in 2016.